Right from the outset at the wedding fair we just clicked with Khalile and loved his ideas and description of how he goes about it on the day. Khalile and Tamsyn made us feel so relaxed throughout the whole day, and seemed to smile almost as much as we did. Family and friends all commented how easy going yet professional they were. 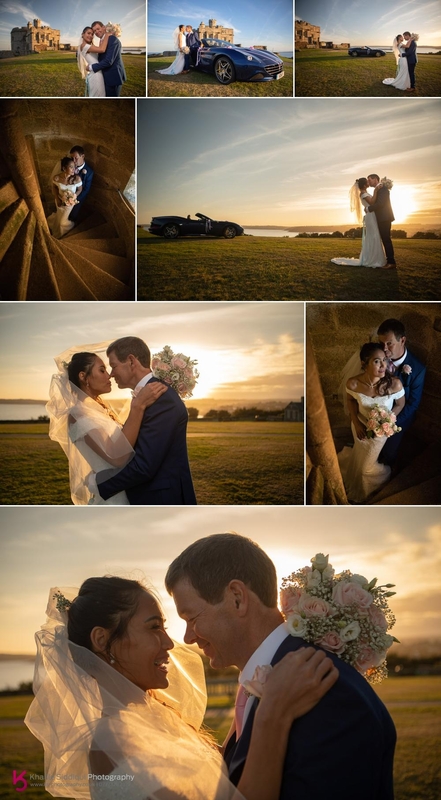 Best of all, the photos are stunning and truly capture how we felt, and feel about each other. 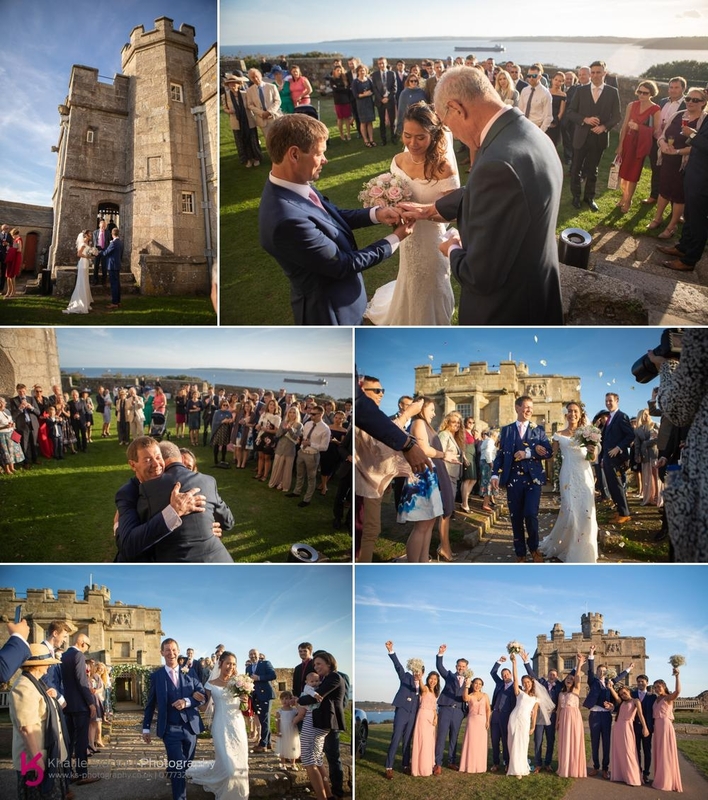 Pum and Andrew booked us for their wedding photography and makeup for their Pendennis Castle wedding after coming across us at the castle's wedding open day back in 2017. 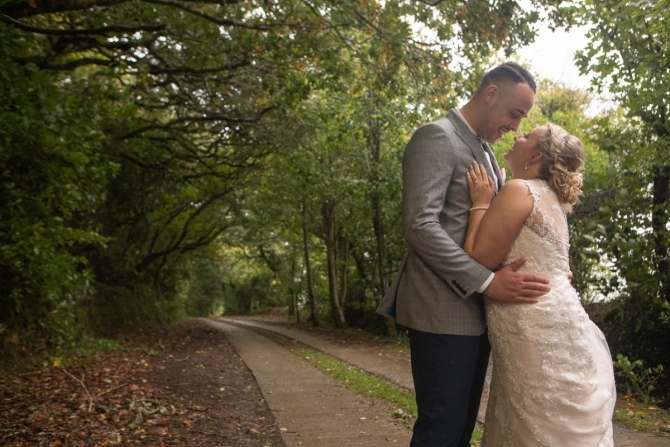 When I first met Pum and Andrew I was struck but just how gentle and sincere they both were, and that feeling didn't change throughout the whole of our wedding journey together. 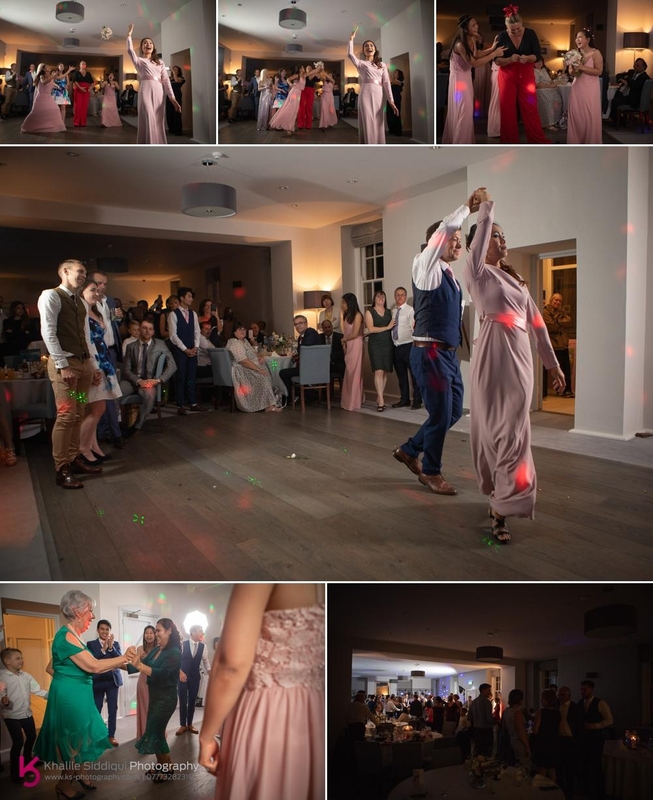 It really was a wedding with a warm fuzzy feeling throughout, with all of their wonderful friends and family attending creating a really loving spirit. My day started with meeting Andrew at his best man and brother Jon's who's an osteopath in Truro located opposite the train station. When I arrived Andrew was just hanging out with Jon and his family, having a chin wag and a bite to eat. It was all so relaxed and they made me feel most welcome, and so after the introductions we got on with getting the boys ready and then a few lighthearted family shots. The next stop on my journey was at 'St.Michaels Hotel and Spa' in Falmouth. 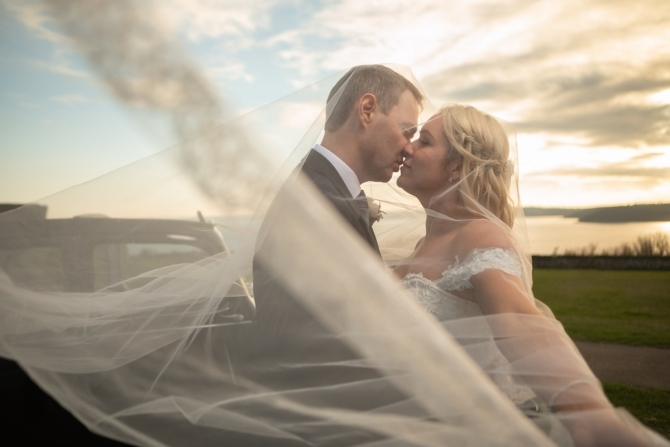 I'd missed 'Sarah Louise' who'd already been and done Pum's hair but I did find my beautiful wife Tamsyn who was busy helping Pum out with her makeup and veil before picking up her camera to carry on with her second roll at a wedding, second shooting. The beauty of this is Tamsyn is around all day so she includes makeup freshen ups and a change of look for the evening which our brides just love. Pum recruited the help of her sister Nok and her four bridesmaids to assist her getting ready. Pum had two dresses made for her wedding from a dress makers in Bangkok Thailand. 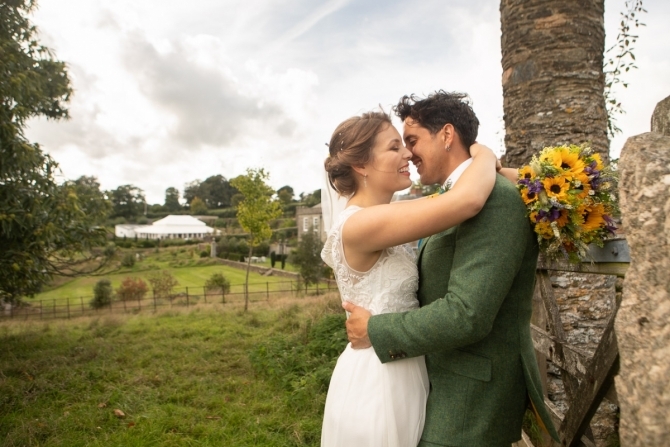 The dress she had for the daytime was off-white and Pum wanted to add a bit of colour by having a sky blue ribbon to tie her in, and she finished the look with pink and white roses in a bouquet made by the lovely 'George Mackay'. 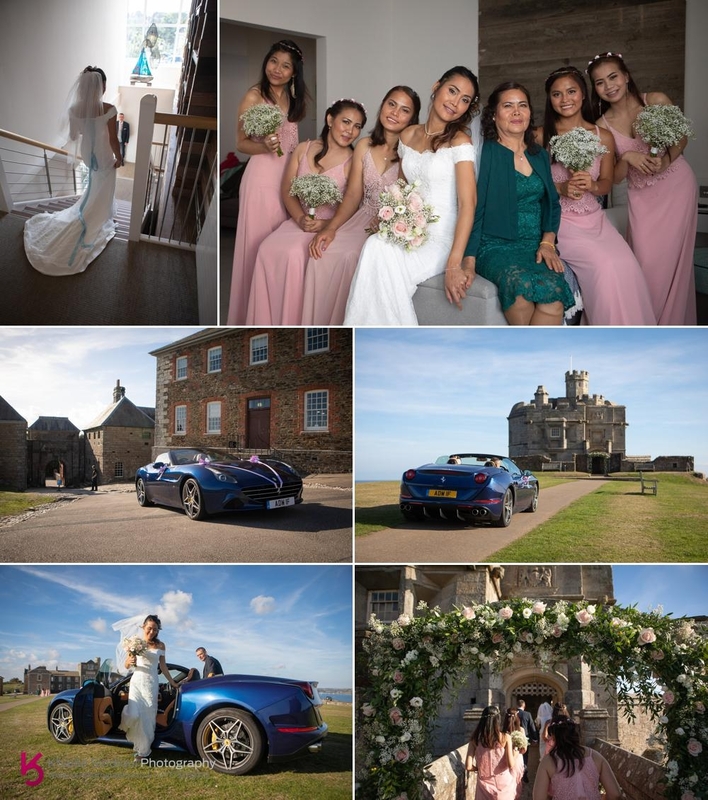 For her wedding car Pum was driven to Pendennis Castle by her brother-in-law Rob in Andrew's own Ferrari California. As Pum's father had passed on Pum asked Rob to walk her down the aisle to give her away. 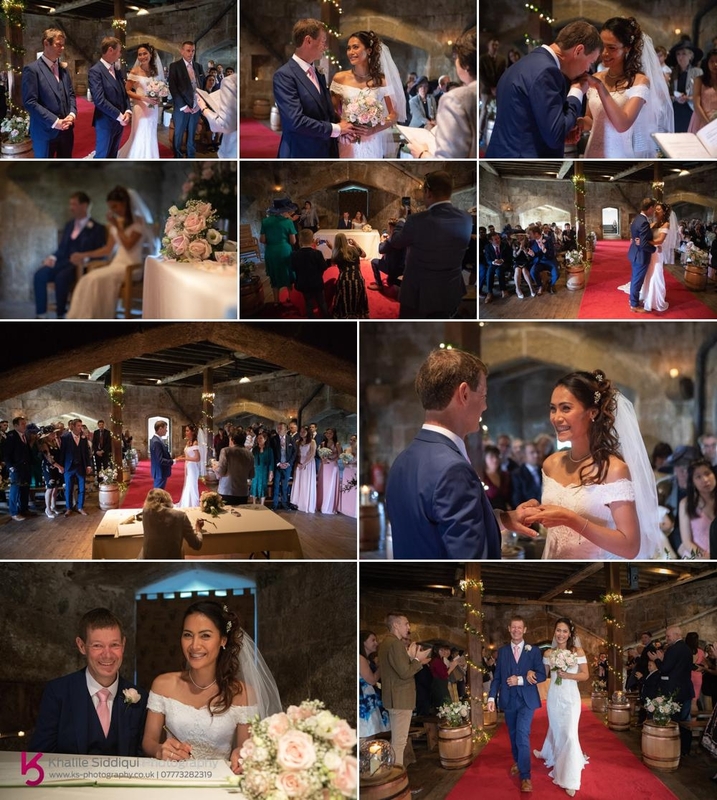 It really was a wonderful ceremony, and Pum definitely goes up there as one of our most happy and smiley brides. At the end of the ceremony there was a bit of a delay as the lovely ladies from the registry office had never had a Thai bride sign her name in Thai before and so after a bit of frantic paperwork checking Pum was given her marriage certificate. 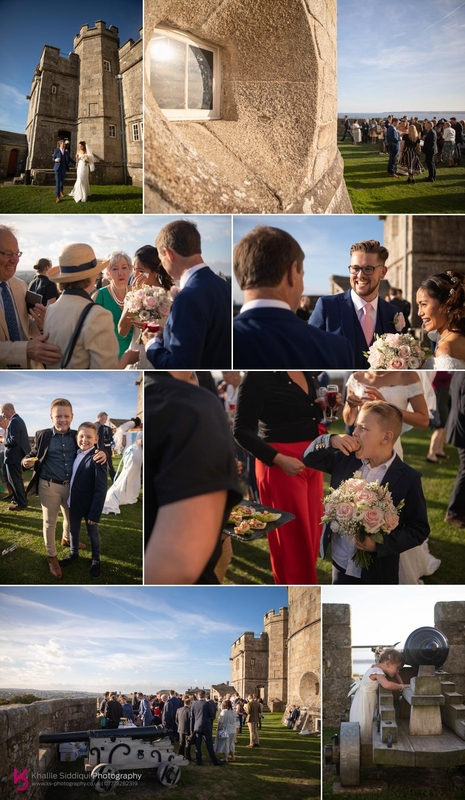 After the ceremony everyone made their way out to the Chemise for drinks and canapés, and also a blessing from Andrew's father a retired priest who conducted his blessing on the steps of the castle bathed in the golden late afternoon sun. Once the canon fired to announce the wedding breakfast at 6pm Tamsyn and I took Pum and Andrew off for a few couple shots in the golden rays. 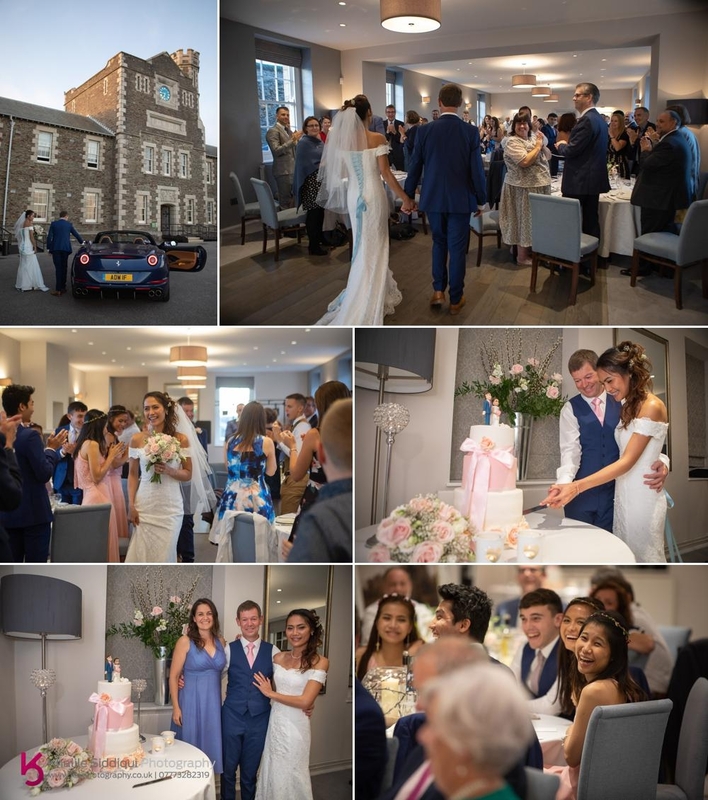 The wedding breakfast took place in the barrack block of the castle, and as we arrived 'Sophie Faldo' the winner of 'The Great British Bake Off' was doing the finishing touches to the cake she'd brought down with her from Kent. 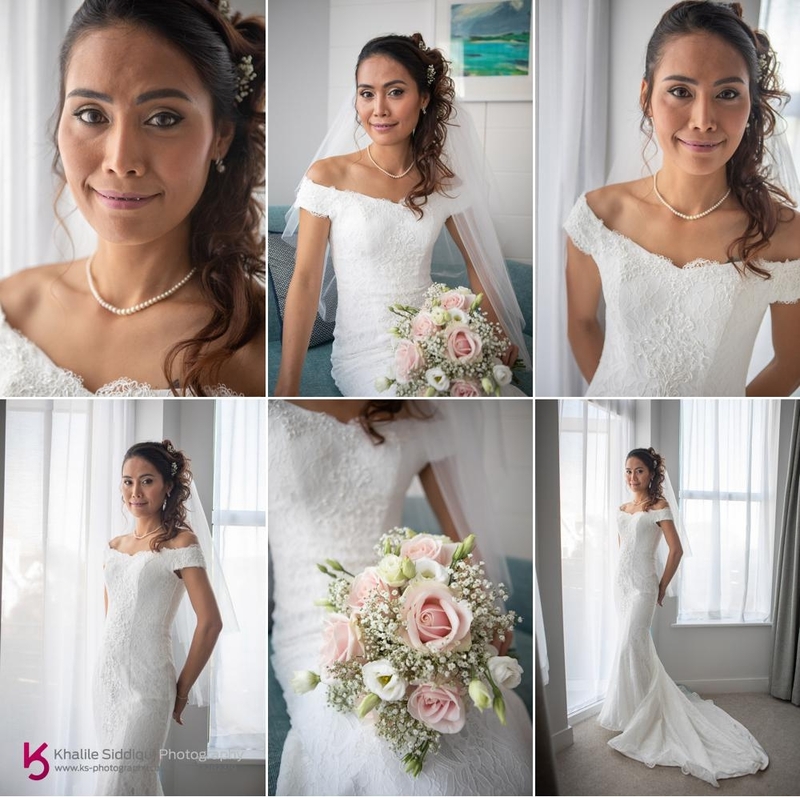 After the wedding breakfast Tamsyn did a change of look for Pum's makeup and Pum took the opportunity to change into her second dress, a simple pink straight cut ankle length number with a satin sash. And by popular request Pum threw her bouquet to the waiting unmarried ladies. Dearest Pum and Andrew, Thank you SO much for having us along on your marriage journey, we've thoroughly loved being a part of it!.